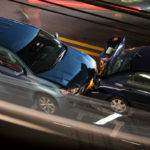 A car accident can not only put your physical health in peril; it can also deal a major blow to your financial health. You may be worried about how you’re going to pay the bills that are mounting after a crash, wondering how much you can expect to get from a car accident settlement (and when). Learn more about what factors go into calculating your car accident settlement below, and contact an experienced Pasadena injury accident lawyer with any additional questions about your potential settlement. How Much Is My Car Accident Settlement? Settlement amounts for car accident claims will depend on the facts of each case. There’s no way to predict exactly what you’ll get for your claim, even if the facts appear to be similar to a friend or family member’s claims. That said, a skilled accident lawyer can provide a rough estimate of what your settlement should be, based on the types of expenses you’ve incurred and injuries you’ve suffered. How Long Will It Take for Me to Receive a Settlement of My Accident Claim? The insurance claim settlement process rarely works quickly. The time you can expect to wait to receive your settlement will depend on several factors. For example, cases involving major injuries and larger amounts of money will often take longer to resolve. Additionally, victims with major injuries may wait longer for a settlement if they have not yet fully recovered from their injuries. Parties often wait for injured victims to reach maximum medical improvement before agreeing to a settlement, so that they can be sure that more medical costs are not looming on the horizon. When dealing with larger insurance companies, accident victims can often expect to wait longer for a settlement. 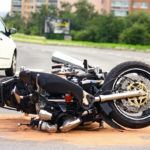 If liability for the accident isn’t clear, this can also prolong the settlement process. If you want the help of a skilled and experienced personal injury attorney after a Los Angeles car accident, contact the Pasadena Law Offices of Andrew Ritholz for a free consultation on your case at 626-844-7102.